To all truth seekers who have been following what I call the Zika virus psyop, you can exhale now as the ultimate agenda to this recent engineered virus scare is now clearly appearing to come to full fruition for everyone to see. 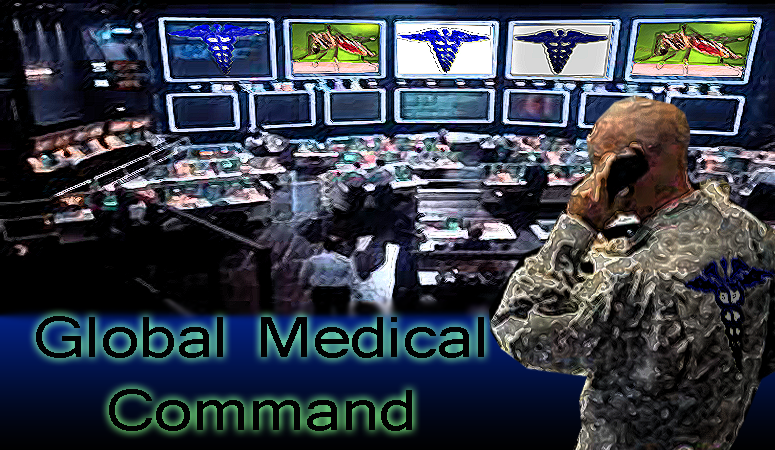 With the recent release of a United Nations report titled- “Protecting Humanity From Future Health Crisis” the U.N. and the global ruling elite are now declaring themselves to be the ultimate medical authority directly responsible for the survival of the human race. With a myriad of illegal, criminal, unethical and blatantly contraindicated experimental vaccines forced on Brazilian pregnant women from 2014 until now, not to mention the whole criminal act of releasing Frankenstein GMO mosquitoes into the public coinciding with all of this madness, it is easy to see where the mass media, the governments, the World Health Organization (WHO), the vaccine makers, the Bill and Melinda Gates Foundation (BMGF) and the U.N. themselves are all attempting to create an alternate reality where they get to conveniently select who and what the boogeyman viruses and pathogens are going to be and what diseases they cause regardless of what the established medical knowledge is on that pathogen or bug. Once they accomplish this, then they can conveniently roll out their favorite “solution” to the engineered problem. And here we are in 2016 and there is no better time to learn about the emerging new world order because it's moving so fast that anyone awakened will clearly see their agenda without even trying to see it. How can you not? Consider how fast the ruling elite are moving with the Zika virus psyop. It is now clear to see that the 2014 Ebola psyop scare was just practice for what they want to accomplish now. They needed to observe how people react to the Ebola scare back then and then adjust their tactics for today's engineered scare. Notice how the despicable ruling elite and their global medical triage police need you to believe that humans are somehow born with incomplete health requiring special chemicals inserted into your body before you are declared fit to live. The masses are being led to believe that you cannot thrive with proper nutrition, avoiding toxins and taking in proper nutrients found all over the earth. In what appears to be a type of Luciferian psychosis the masses are being hypnotized to magically believe that the human immune system, as amazing at it is, is actually useless without their special vaccines and petro-chemicals. The other thing to notice is that for as much as the U.N. pushes depopulation and considers it a form of “sustainable” living, they also feel the need to “save” millions of lives in order to prevent the very depopulation their agenda pushes. In this psychological operation that all of humanity is subjected to, the WHO and it's member states are claiming responsibility for preserving YOUR life. They are systematically taking on the role of god, and givers of life. You somehow need their GLOBAL system to survive and be whole. This is yet another vindication for all those who have been accused of being “conspiracy theorists”. This is why you do not want to be a brainwashed coincidence theorist as the new world order attempts to make itself the dominant order and finish off nation states and individual sovereignty. This story should be a powerful awakening tool for everyone that it's time to resist and fight back against these psychopaths. They are going for it all because they are desperate. They will fail and we will continue to expose this rising new world order. In light of this recent engineered Zika virus crisis, without any direct evidence of their ridiculous claims, anyone still believing mainstream media lies and any of these so called medical “authorities” is giving away the last bit of resistance you have against them, and that is your ability to think critically on your own. Medical tyranny (like geoengineering and chemtrails crimes) is the worse kind of tyranny there is because it involves forceful inoculation of poisons into the body of innocent people and this makes resistance unto death all the more necessary. Giving in to medical tyranny is no different than to consenting to a dangerous surgery and signing a release acknowledging that you understand the surgery could kill you. You are blindly trusting your life into the hands of another entity (a surgeon) because you believe the doctor has your best interest in mind. It's the same with medical tyranny only in this case that other entity does not have your best interest in mind by any means as history proves. History is repeating itself in the ugliest ways imaginable, and it is up to those who realize what is happening to take a stand now against global tyranny being implemented by means of an alternate staged reality where no one is ever required to provide three-dimensional, actual, physical, scientific and clearly reproducible and verifiable proof. Everything now is left to your imagination and your willingness to take in and absorb their lies, deceit and illusions. So as the U.N. calls for their fully funded global medical command center to “save” humanity from viruses and flu season pandemics, remember you had a chance to stop this. Stop everything you are doing and focus on stopping Agenda 21 now in your local town. Look for it, identify it, then explain it to those that don't understand what it is. It's everywhere, it's growing faster than ever, and Agenda 21 and Agenda 2030's language is all over this recent U.N. “Global Response to Health Crisis” report. Remember that Agenda 21 and Agenda 2030 has many legs to it and this is just one of them. The solution for any problem starts with recognizing the problem itself. The powers in control want to globalize everything as they form their global government. The problem is that people get caught up with names. Some call it the new world order, the global government being formed by the ruling elite. They are recruiting the cooperation of many nations and transnational corporations. The cooperation is all around us because they effectively implement their consent using the 'delphi technique' . They need to globalize everything and all you have to do is to recognize this. To see the globalization doesn't require you to be in a movement or to call yourself a truther, conspiracy theorist, an Anarchist, a Libertarian, a rebel, an activist or anything. The only thing that matters is that you recognize what they are doing and that you resist. Christians, Muslims, men and women; gay or straight, black or white. Whether you lean to the right or the left. Whether you are into politics or not. Whether you love America or hate it. Whether you are the outspoken person or the quiet type. Regardless of who you are, this global agenda will effect you and your family because you are human. Recognize, resist and stop the agenda we see unfolding now before it's too late.